This course will give you powerful digital skills to help you make more money in your career or business, start your entrepreneurial journey or make income from online business. 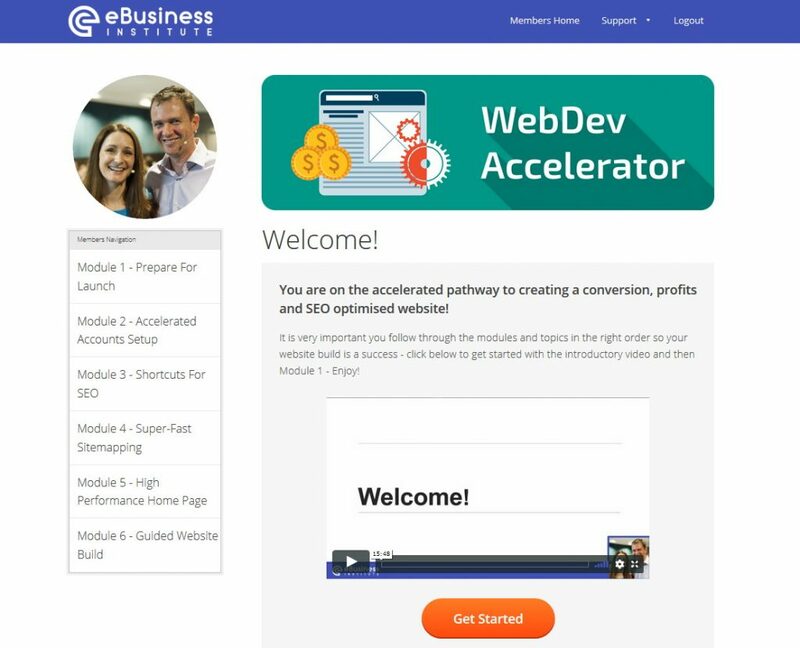 You will learn from simple step-by-step lessons how to build a website designed to drive traffic and convert leads into sales and profits. Developed by the founders of the eBusiness Institute Matt and Liz Raad and used by hundreds of graduates to create real money-making websites. Plus you'll be certified in web design skills that can be used to get fast results or to impress the boss or business owner. Our unique Accelerated Learning Program gives you the right skills quickly and easily so you can be building great websites within DAYS – not months or years! Step-by-Step training designed for absolute beginners – we have even had students who started out scared of computers now making 6-figure incomes! Don’t get left behind in the digital age, these are skills you can use to set yourself and your kids up for life. For many people, digital marketing is a foreign world full of unfamiliar terms and high-tech, complex sounding processes. It's hard to know where to start, and even harder to find someone who can break it all down into simple, easy to follow steps. They don't realise that with the right course, the right teacher and the right key knowledge, they can create powerful websites that really make money - better than most web-developers and IT experts. We know that this course can quickly get beginners trained in website design and marketing, not only with the fundamentals but also highly practical and valuable digital skills that will help you succeed in a career or business for the future. In this program we’ll guide you step-by-step through building a website, with one MAJOR difference – you’ll learn how to add MARKETING KNOW-HOW and SEO in your design so it will actually generate leads and sales! Even if you are a complete technophobe, you can now take control of your own online presence. We have business owners who have DOUBLED their leads and sales, and newbies selling their first website within weeks! Who Should Enrol In The WebDev Accelerator? If you need a flexible career or run a home based or MLM business, this can help you generate more leads and sales with no more daily commutes! Build a beautiful website with all the images and resources you need provided. Dentists have told us that they have paid from $5,000-$20,000 for websites like the one you will build! Ever been confused about hosting, domain names, cpanels and ftp? Search Engine Optimisation - or "How to show up on the first page of Google"
You'll see the simple shortcuts for great SEO, used by our students to rank local business websites in all kinds of Search Engines - not just Google! Just like building a house - its faster and easier when you have a plan to follow! AND gets them buying too! On completion, you will receive a personal website review and official graduation certificate with transcript to verify that you have designed and built a business website incorporating digital marketing strategy, keyword research, SEO, UX, conversion, monetisation and website security. You may use this on your resume, and for Continuing Professional Development (CPD) points in many industries. 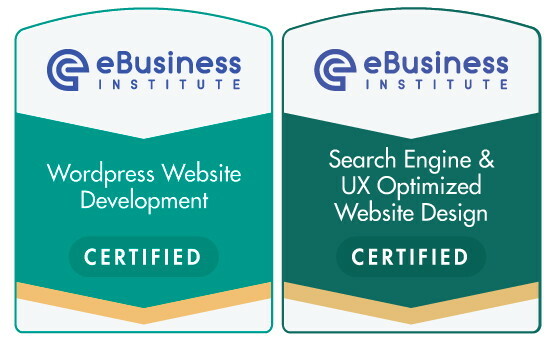 You will also receive your official website design certification badges, which you can display on your own website or LinkedIn profile. 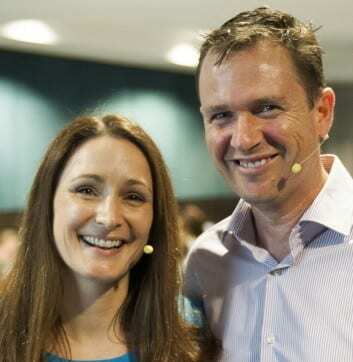 With the tools taught by Matt and Liz you get a clear plan from A-Z on how to get started and ultimately succeed in this market. The results are only limited by your dreams. Q.Will this work if I'm nervous of computers or the internet? A.You have a full 7 days to look through the program and ensure that it’s right for you. If in the unlikely event you don’t think the program can help you, then you can request a full refund within that 7 days from purchase. Q.How is the program delivered? A.This program is mostly video tutorials, so we can guide you through and show you exactly what to do, where to click and how to make things happen! You also get unlimited email support so if you have trouble with something our friendly and understanding support staff are there to help. Q.How long do I have to build my site? 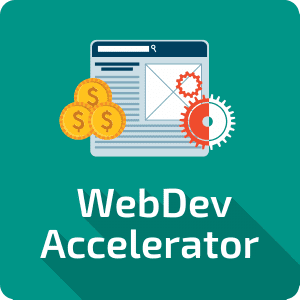 A.Once you are a member of the WebDev Accelerator there is NO CUT-OFF DATE! That means you can do the course in your own time, you don’t have to rush – and the tutorials and guides will be there for you on every site you want to build. Q.Can I do this while I'm still working? A.Yes! This program is designed to be done at your own pace, so you can develop your new skills and start earning money from them while you are still working. Many students started out part time but quit their jobs once they were earning enough to replace their incomes. Q.How do I find a business to build a website for? A.Just ask around your friends and family – we find most students don’t have to look far to find a business owner who doesn’t have a website or isn’t happy with the one they’ve got. What about your own hairdresser, mechanic, lawn-mower, physiotherapist, dentist, cleaner, bakery or corner store? 5. The chance to start from scratch and really understand how the online marketplace works - for many people it's a mystery and it feels like everything is moving so fast. Now is the time to get the foundations in place so you have more confidence going forward into the future.